Mathematics is a very interesting subject. However, it depends upon the way it is kids learn mathematics. If we teach kids math in an interesting way, they will love mathematics. Solving puzzles is a very fun way to learn Mathematics. 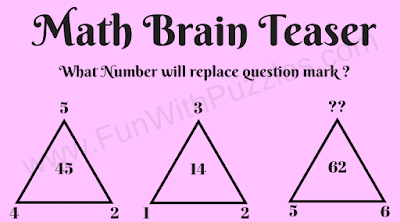 One can have fun solving Mathematical Brain Teasers and also learn the basics of Maths. 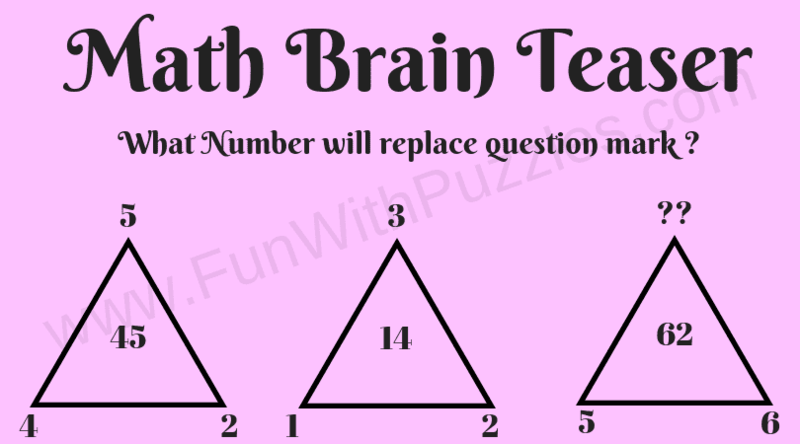 Here are some brain teasers which can be used by school going kids and teens to learn the basics of mathematics. 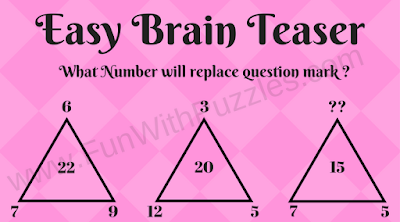 In each of the Triangle Brain Teaser, three triangles are given. Each corner of the triangle, as well as the center of the triangle, contains a number. 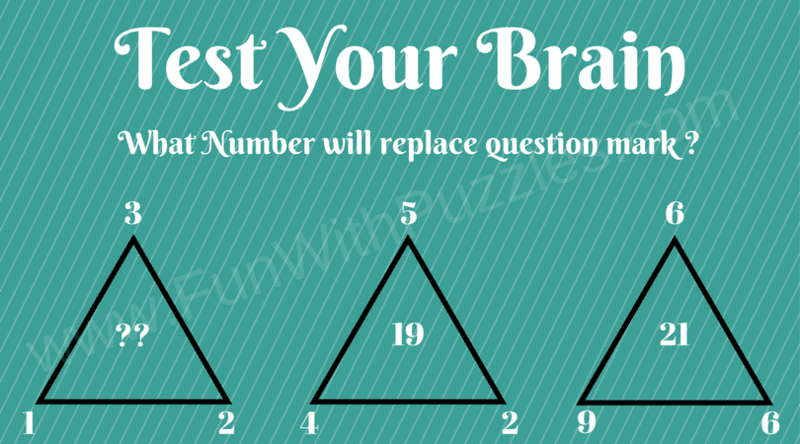 One of the numbers in one of the triangle is replaced with the question mark. These numbers have some relationship with each other. One has to find this relationship and find the number which will replace the triangle. 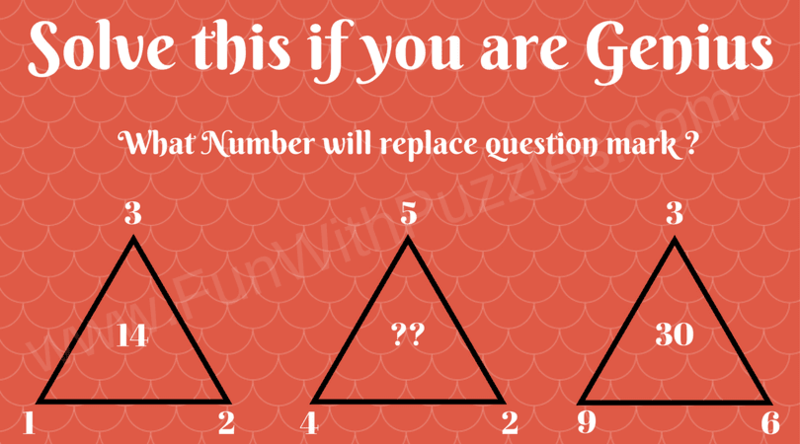 So are you ready to find which number replaces the question mark in each triangle? 1. 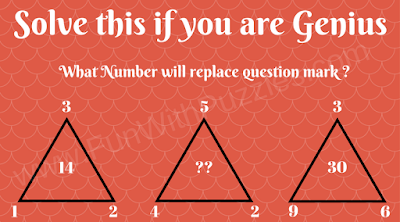 Find the Missing Number in 3rd Triangle? 2. Which Number will replace question Mark? 4. 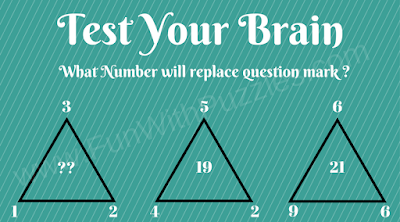 Test Your Brain by Finding missing number at Question Mark? 5. Which number will replace the question mark? 1. Awesome Missing Number Math Circle Puzzles with Answers: These are Maths Circle Picture Puzzles in which your challenge is find the missing number in the Circle. 2. 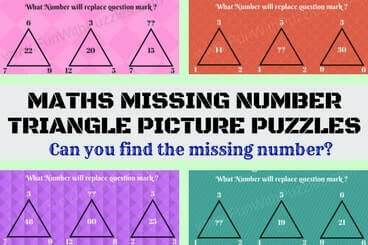 Mind Blowing Maths Circle Questions with answers: This is another set of Maths Circle Missing Number Puzzles. However, these are tough puzzles and will twist your brain. 3. 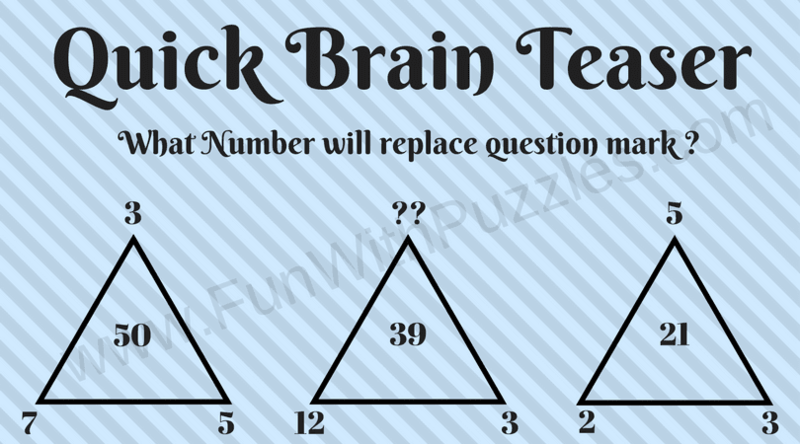 Test Your Brain-Smart Questions For Smart People: It contains a mix of Maths Puzzles, Visual Observational Puzzles and Spatial Puzzles to test your brain. 4. 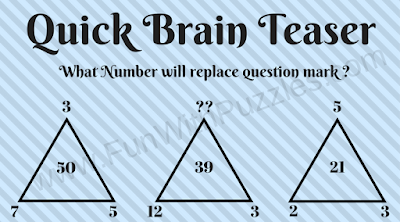 Brain Maths Logic Puzzles for Teens: At the end, this set contains the Brain Teasers in which you have to use your Logical Reasoning as well as Mathematical skills. 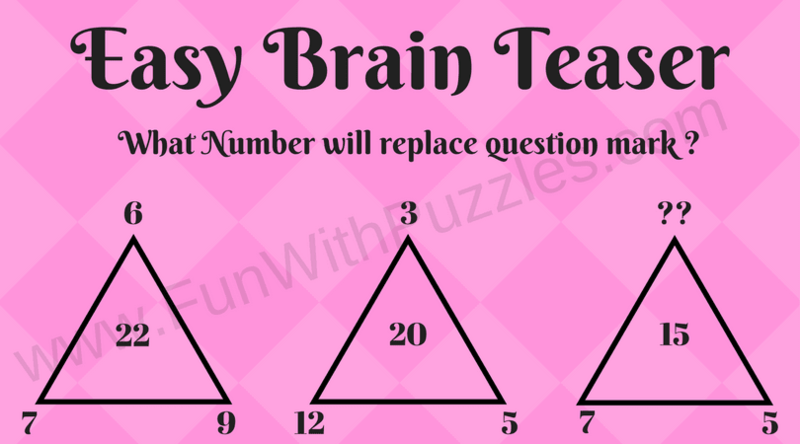 Here is the answer to 6th Brain Teaser Question of the post titled "Simple Math Riddles for Teens and Kids with Answers to Twist your Brain". IF A+B=D Then Answer D is drives from reverse the result of AxB.